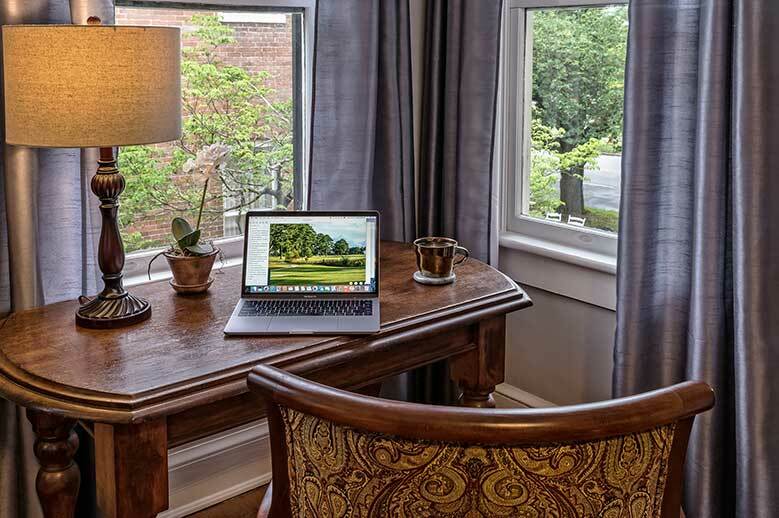 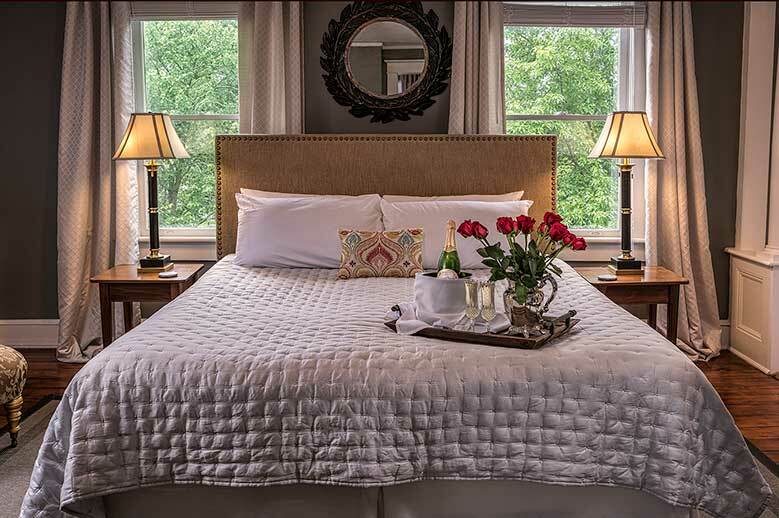 This second floor suite at our North Carolina B&B offers a comfortable and elegant night’s rest in a king bed with upholstered headboard and pillow top mattress with hand pressed linens and quilts. 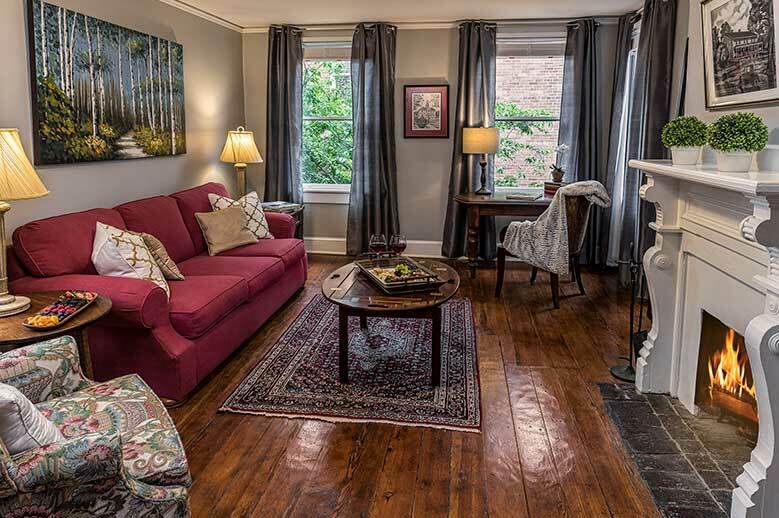 The Satterfield Suite has a private attached sitting room with desk, large sofa and Kurik coffee station. 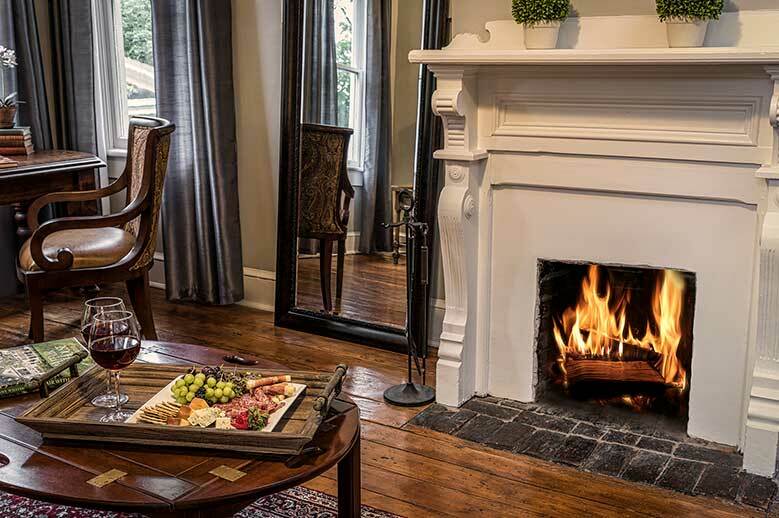 This romantic setting occupies the entire second floor for ultimate privacy and yet is just steps away from The Table restaurant where breakfast and dinner are served. 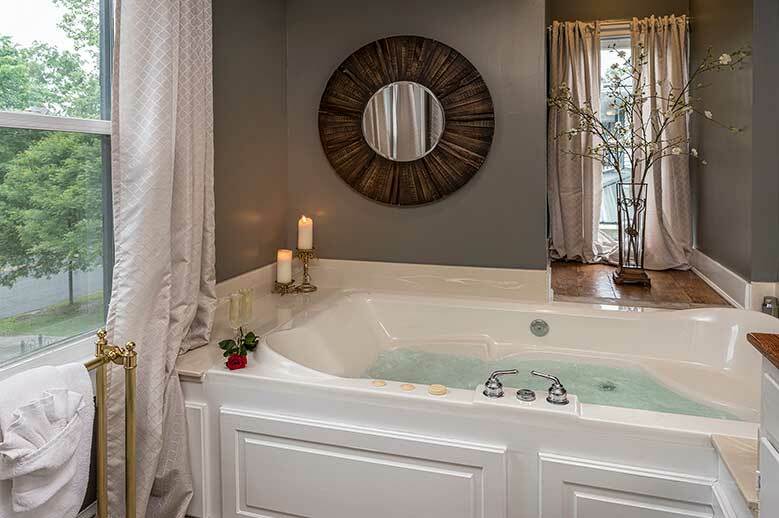 The master suite is fitted with a large luxury jetted tub and comes with 2 quaint fireplaces, full linens including towels and extra blankets, and spa robes. 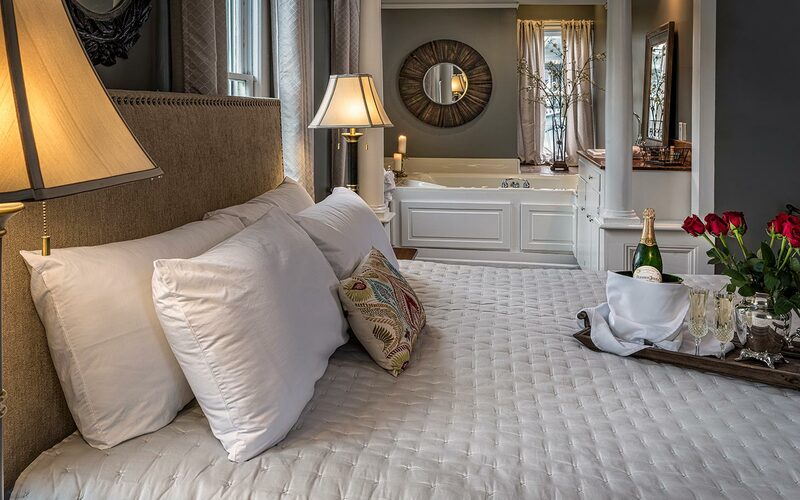 The Satterfield Suite is our premium suite and is a preferred choice for a romantic weekend getaway and honeymoons.